The Peruvian Port System has more than 100 port facilities, which are classified as marine, river and lake ports. In spite of such port facilities, maritime commerce in Peru is mainly concentrated on eight major coastal ports: Callao, Talara, Paita, Salaverry, Chimbote, San Martin (Pisco), Ilo and Matarani. Among these ports, Callao is the most important in terms of cargo movement, since 70 per cent of the total cargo in Peru is loaded and discharged in this port. In addition, it has positioned itself as a regional hub, considered the most important container transhipment port on the west coast of South America. Port of Talara (operated by Petroperu). This is a pier for loading and discharging various types of fuel such as oil liquid cargo, including industrial fuels and liquefied petroleum gas and one buoy for the discharge of dirty products. Port Terminal of Paita (operated by TPE). It mainly loads and discharges agricultural, natural and frozen products, as well as grain, minerals and fishing products. Pier of Bayovar (operated by Valle Do Rio). This is a pier for the loading of phosphates and other minerals. Port of Salaverry (operation awarded to TRAMARSA in 2018). It consists of two piers: one for general cargo and one for sugar and ethanol. It also contains a multi-buoy terminal, operated by Petroperu, for liquid cargo. Piers of Chimbote (operated by Siderperu). Two piers for the loading and discharge of iron ore, coal and steel. Pier Punta Lobitos (operated by Antamina) specialises in bulk cargoes such as copper and zinc concentrates. Pier of Conchan (operated by Cementos Lima). Its main activity is the export of cement and the import of coal. Multi-buoy Terminal of Conchan (operated by Petroperu). Its main activity is the coastal trade of oil cargo and industrial fuels. Pier of Melchorita (operated by Peru LNG). This is a gas liquefaction plant that is the first of its kind in South America for the export of liquid natural gas (LNG). Offshore terminal of Camisea at Pisco (operated by Pluspetrol). Its main activity is the coastal trade of LNG and white and dirty oil cargo, as well as some exports of Naftas. Port of San Martin at Pisco (operated by Terminales Portuarios Paracas). Its main activity is scrap and bulk, general cargo, containers, machinery, grain/maize silk in bulk and fishmeal. Pier San Nicolas (operated by Shougang Hierro Peru) specialises in bulk cargo (iron ore concentrates) and liquid cargo (diesel). Port of Matarani (operated by TISUR). This port facility has access via road and rail. This is a port for loading and discharging grains and minerals. Port of Ilo (operated by the National Company of Ports (ENAPU)). Its main activity is the import and export of cargo in pallets and containers. It is mainly used for serving Bolivia. There is also a pier operated by Southern Peru Copper Corporation. Its main activity is the coastal trade of liquid cargo (chemicals) and the export of copper concentrates. The main port reform undertaken by the government is applied through the Law of the National Port System, modified by Legislative Decree No. 1,022, which entered into force in 2003. It was enacted in order to modernise the Peruvian Port System, promoting private sector investment in port infrastructure. Further, this law provides a new legal and regulatory framework that guarantees legal certainty and stability to a booming sector. In this regard, there are substantial reforms such as the creation of the National Port Authority (APN), which is a public entity ascribed to the Ministry of Transport and Communications. It was created to promote private investment in ports, improve port infrastructure and design a new model of port services. Both the public and private sector port models apply in Peru. Peru cedes the administration of its ports by means of a concession contract in favour of the private sector. Peru has a National Port Development Plan, which was enacted by means of Supreme Decree No. 009-2012 on 11 August 2012. This official document focuses on modernising infrastructure and services to bring them up to the levels necessary to allow the country to compete internationally. The framework includes putting in place national and regional port authorities, and issuing regulations clarifying the working relations between these authorities, the Ministry of Transport and other relevant regulatory agencies. the preservation of the national port heritage. There are no green port principles or regulations in the Peruvian legal framework. Apart from the Law of the National Port System and the National Port Development Plan, there is the Law of Public-Private Partnership (PPP) dated 25 September 2015 (Legislative Decree No. 1224) and its regulations. These rules set out the classification of, among other things, PPP, financial and non-financial guarantees, private finance initiative, rates of return and proceedings regarding the declaration of interest of private initiatives. OSITRAN is the agency that controls the execution of the port concession, including the regulation of tariffs as well as deciding claims on appeal by port users against the corresponding ports. Peruvian regulations also provide shared functions to the APN and the General Directorate of Captaincies (DICAPI) for the monitoring and surveillance of national ports. These institutions regulate the applicable policies at national level, but nonetheless, the execution of these policies is performed through the regional port authorities and port captaincies. promoting the modernisation of ports and the preservation of the environment. OSITRAN regulates the execution of concessions and port tariffs. It also acts as a second instance for claims by port users. The institution in charge of designating harbourmasters for each port is DICAPI, the Maritime Authority in Peru. The harbourmaster must be a navy officer specialised in coast guard activities. All Peruvian ports, including offshore rig facilities, are regulated under the Law of the National Port System dated 1 March 2003 and its regulations. Yes, the tariffs are subject to regulation. The collection method of these tariffs are as per the internal rules of each port or terminal. There is no restriction other than what is agreed in the concession agreement between port operator and the Peruvian state. The currency is usually fixed in US dollars. As established in concession agreements, the state provides facilities in order to allow appropriate port access via land or sea. In such contracts, the state and the private entity agree to cooperate in order to provide safe access to the port. No. The state has no participation in the administration or operation of any port or terminal in a joint venture model. However, some port facilities are administrated by ENAPU. The participation of ENAPU as a national port operator has decreased over the years, as the current port policy of Peru is to give in concession its ports and terminals to the private sector. No. However, at present there is no longer a need to register in the National Register of Suppliers. Supreme Decree No. 245-2017-EF, which unites Legislative Decree No. 1,224 and 1,251, issued on 30 August 2017 approves and regulates the PPP Law, is mainly of general character and is applicable nationwide. It empowers the national entity Proinversion as the administrative authority in charge of the supervision of all PPP proceedings throughout its stages. It also brings assistance to regional and local governments in the promotion of their own PPP. The Peruvian government accepts private investment proposals that are not part of an existing formal tender, through the National Agency of Promotion of Private Investment (Proinversion) created by Supreme Decree No. 060-97-PCM, in order to promote the competitiveness of Peru and sustainable development. If interest is declared, Proinversion is instructed to analyse the proposal and liaise with the party and the sector in order to determine the definitive interest of the latter in the original proposal or a revised alternative. Only the Ministry of Transport may declare its definitive interest (with a declaration of interest) after a period of time and a comprehensive assessment. If so, the law provides for a term of 90 days for third parties to file alternative proposals. If there is more than one competitor with a project proposal for or on a given port, Proinversion launches a process (ie, bid terms and contracts) according to the regular terms for any PPP initiative. If there are no competitors after 90 days, the project is awarded to the original proposer party directly. A PPP proposal can be submitted by any public entity of the three levels of government (national, regional and local) - in which case it is called a ‘PPP by public initiative’ - and also by any private investor who submits a project to Proinversion or the private investment promoting entities in regional or local governments. For instance, the government is presently evaluating private proposals for operating the ports of Salaverry, Ilo and Chimbote, which are now administrated by ENAPU. These three ports will probably be granted in concession in 2018 to the companies that manifested their original interest. However, if there are more proposals to each port afterwards, a public process for granting a concession will have to be launched by Proinversion. Concessions have a self-sustaining nature, so the basic criteria for the awarding of port concessions and joint ventures are that they comply with the terms and conditions of the public tender. Generally, the rules of a public tender are focused on the infrastructure design, the shape of the construction, financing, and the operation of infrastructure and port equipment. According to the Public Contracting Law and its regulations, a PPP is construed as a concession agreement. Supreme Decree No. 410-2015-EF, which derogated Supreme Decree No. 059-96-PCM, and the Text of Concessions provide that the state cannot deviate from the duties agreed in the concession contract. In case of disputes, an arbitration clause is always set out in the agreement. In connection with the above, Law No. 28,933 regulates the system of coordination and response of the state in international investment disputes. The main objective is to establish compensations for the investor in case of breach of obligations or fines or compulsory acts, or even to put an end to the concession if necessary. The APN is the entity that promotes the participation of the private sector regarding investment in the infrastructure’s development and port equipment, and has the support of Proinversion. In this regard, the APN is responsible for coordinating the promotion processes for private investment in national port infrastructure and equipment, and proposed cooperation agreements with Proinversion. No specific law must be passed. The concession enters into force once the agreement is duly signed by the state and the private investor. Port projects in our jurisdiction are typically implemented as design-finance-build-operate-transfer (DFBOT). Article 19 of Legislative Decree No. 1,224 does not establish a minimum term for concession agreements for the private sector in public works of infrastructure and services in general, but requires that the term should not exceed 60 years. The average term of concession contracts for infrastructure development is 30 years. The extension of the concession is determined only by the clauses incorporated into the agreement. In Peru, the port concession is self-sustaining and the fee structure is based on a percentage of revenue shares. The concession agreement includes a scheme of price realignment through economic formulas that are set out in that contract. The government provides guarantees with regard to compliance with the obligations agreed under concession agreements. Regulation establishes that the state provides investors with legal certainty in the context of free competition, nondiscrimination and equality before the law, neutrality and price transfer prohibition. Usually, the formal tender sets clauses exclusively in favour of the party to whom the concession has been granted (the concessionaire). non-financial guarantees: guarantees established in the contract, derived from risks inherent to a PPP project. Any incentive depends on what is agreed in the concession agreement. It is common for this agreement to include a tax stability agreement in order to ensure some market predictability. To begin the construction of a port, authorisation is required from national and local entities, specifically from the APN, DICAPI and the district municipality’s homeport. The estimated time for obtaining permits, licences and authorisations is approximately three months from the date of filing the application. No, the Peruvian government does not undertake any part of the construction of the port. The development of port infrastructure and equipment is the obligation of the concessionaire in accordance with the clauses established in the concession agreement, as governed by Peruvian law. The port operator or concessionaire must comply with the terms and references established in the bases of the public tender, which are part of the concession agreement. The port operator may engage the services of any contractor they wish. The remedy available for delays and defects in the construction of the port is the execution of the penalties laid down in the concession agreement and, additionally, in the provisions of the Peruvian Civil Code. In the concession agreement, the parties should establish the penalties for breach of obligations. The penalties may vary according to the clause breached by the port operator. an inspection request for work completion (100 per cent) and the corresponding certificate. The process for obtaining these permits usually takes around 60 days, according to the Text of Administrative Proceedings of the APN. However, owing to the usual administrative burden, these proceedings may take about 90 days. general port services: port traffic control, cleaning, sweeping, lighting, signalling, safety and security. periodical investments intended to compensate for operation and preservation costs incurred by the private sector for the provision of the service. In practice, they are called ‘annual payment for maintenance and operation’ or ‘retribution for maintenance and operation’. These are the potential payment obligations of the government to the private sector for the financial and non-financial guarantees that the latter may have issued. Definitive and contingent commitments are usually included in concession contracts, in order to cover the risks inherent to the project. However, the APN can charge the port operator for the basic port services, as long as this has been agreed in the concession contract. No, the government and the APN rarely grant commitments in relation to access to the hinterland. In most cases, the APN and the Ministry of Transport and Communications do not include a section regarding finance development of access routes or interconnections in the concession agreement. In Peru, the authority that oversees the operations at port terminals is the APN. unilateral termination by the state due to public interest. The suspension extends the term of the concession for the period of the suspension cause. for other causes stipulated in the contract. The resource available for the port authority to act against the port operator when they fail in the operation and maintenance of the port, as agreed between the parties in the concession agreement, is the execution of the penalties set out in such agreement and, additionally, in the provisions of the Peruvian Civil Code. The state may also submit financial controversies arising from concessions to national or international arbitration, in accordance with the provisions of article 69 of the Political Constitution of Peru. At the end of the concession, port operators must transfer to the state all goods that have become integral parts of the concession and receive compensation for the assets transferred, according to the clauses of the concession contract. The port operator is permitted to use an SPV in DFBOT contracts, as a newly incorporated company or as a subsidiary company. Both types of company should be incorporated in the normal way - under the system of project finance used by a private financier for the PPP. The DFBOT contracts provide the SPV with the project components to be managed (such as raising funds; paying debts and shareholders; hiring and supervising the builder). Then the SPV should build, operate and transfer the project to the state. The SPV must be incorporated in the Peruvian jurisdiction. According to the provisions of the law, the concessionaire, with the approval of the state, may transfer the concession, with the same terms and conditions, to another entity. In other words, the transfer will be complete and all the rights and obligations of the transferor will be passed to the new concessionaire provided that it is authorised by the state. The port operator cannot mortgage its rights under the PPP agreement. The port authority does not enter into agreements with the project financing banks. According to the provisions of the legislation, it is the prerogative of the state to modify the concession contract when necessary, in compliance with the nature of the concession, the economic conditions and the contractual technical agreements, and the financial balance performance by the parties. If the concessionaire fails to comply with the provisions of the concession agreement, in accordance with the provisions of the law, the state is entitled to terminate the concession for breach of its obligations under the concession agreement and will enforce the penalties established therein. delays in the delivery of the concession. The concession agreement must have a section in which the parties stipulate penalties for the breach of the obligations of the port operator. PPP agreements are governed under the rules of the Peruvian jurisdiction, with respect to the rights and obligations under the contract. The parties may also submit disputes arising from the concession agreement to an arbitration forum, in accordance with the provisions of the law. PPP agreements must be governed by Legislative Decree No. 1,012, Supreme Decree No. 127-2014-EF, by the specific regulations on concessions and port systems and the provisions of the Peruvian Civil Code. Disagreements between the parties are commonly resolved by arbitration, under the rules incorporated into the concession contract. 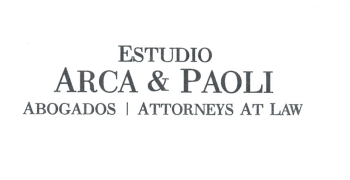 If, under the concession contract, the parties agree to solve the disputes of the concession agreement according to Peruvian law, the terms and regulations of Arbitration Law No. 1,071 will apply. Supreme Decree No. 127-2014-EF, which regulates the Law of PPP, stipulates the disputes that can be resolved by arbitration. Further, in this Law it is stated that the tribunal must be made up of professional experts with a minimum of five years’ experience in controversial matters, or a lawyer with experience in regulations or concessions.